Tell me more:	I built this responsive prototype using Bootstrap and a few other tools. 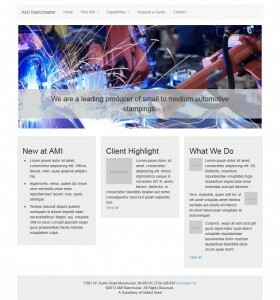 It is for the redesign for the AMI Manchester site. The prototype's primary purposes were to convey to the client what the site might look like, how it might function, how the content might be broken up, and also what copy/content might currently be missing. In this scenario, the wireframing portion of the process was skipped and that seems to have worked well.